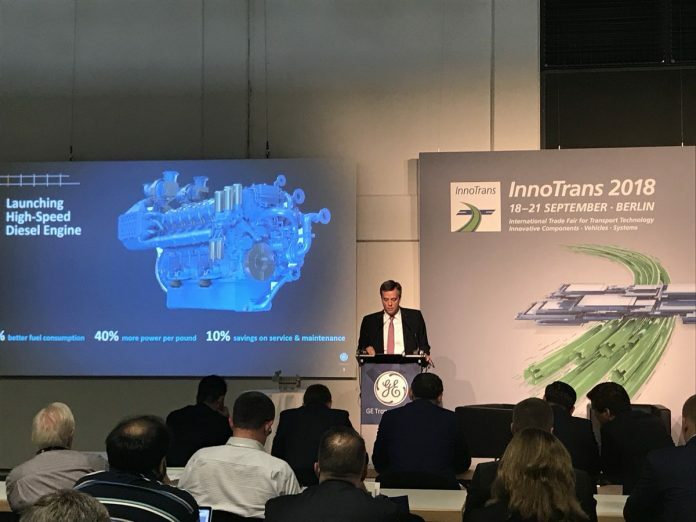 GE Transportation CEO Rafael Santana during a press conference at InnoTrans. Photo: GE Transportation. GE Transportation is to supply five diesel-electric locomotives to open access freight operator Korfez Ulastirma, a subsidiary of Tüpraş, which is Turkey’s largest refinery. Announced at InnoTrans 2018, the agreement is for locomotives from GE Transportation’s PowerHaul series. Korfez Ulastirma currently leases five PowerHaul locomotives that GE previously supplied to the Turkish State Railways. The new locomotives will be built in the Turkish city of Eskisehir by TÜLOMSAŞ, GE’s strategic partner in the country. GE will provide technology and design while TÜLOMSAŞ will manufacture, assemble and test the locomotives.